Background/AimsThe transmission rate of air-borne infectious diseases may vary secondary to climate conditions. The study assessed time trends in the seasonality of hospitalized varicella cases in a temperate region in relation to climatic parameters prior to the implementation of universal varicella immunization.MethodsA retrospective descriptive study was conducted among all pediatric and adolescent varicella patients (n = 2366) hospitalized at the “Aghia Sophia” Children's Hospital during 1982–2003 in Athens, Greece. Date of infection was computed based on hospital admission date. Seasonal and monthly trends in the epidemiology of varicella infection were assessed with time series analysis (ARIMA modeling procedure). 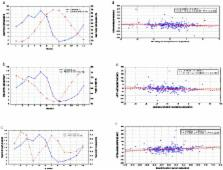 The correlation between the frequency of varicella patients and the meteorological parameters was examined by the application of Generalized Linear Models with Gamma distribution.ResultsDuring 1982–2003, the occurrence of hospitalized varicella cases increased during summer (p = 0.025) and decreased during autumn (p = 0.021), and particularly in September (p = 0.003). The frequency of hospitalized varicella cases was inversely associated with air temperature (p<0.001). In contrast, the occurrence of hospitalized varicella cases was positively associated with wind speed (p = 0.009).ConclusionsPediatric hospitalizations for varicella infection rates have increased during summer and decreased during autumn in the examined temperate region. Time trends in hospitalized varicella cases are associated with climatic variables. The epidemiology of varicella and herpes zoster in The Netherlands: implications for varicella zoster virus vaccination. We studied the epidemiology of varicella (chickenpox) and herpes zoster (shingles) in The Netherlands to assess the desirability to implement routine varicella zoster virus vaccination in The Netherlands. Data on seroprevalence of varicella zoster virus in the general population (1995-1996), consultations of general practitioners for varicella (2000-2002) and herpes zoster (1998-2001) and hospital admissions due to varicella (1994-2001) and herpes zoster (1994-2001) in The Netherlands were analysed. The seropositivity increased sharply with age from 18.4% for both 0- and 1-year-olds, to 48.9%, 59.0%, 75.7% and 93.0% for 2-, 3-, 4- and 5-year-olds, respectively, and varied between 97.5% and 100% for older age groups. The average annual incidence of GP-consultations amounted to 253.5 and 325.0 per 100,000 for varicella and herpes zoster, respectively. The incidence of hospital admission due to varicella and herpes zoster was 1.3 (2.3 including side diagnosis) and 2.7 (5.8) per 100,000, respectively. Whilst for varicella, the incidence of GP-consultations and hospital admissions were highest in childhood, for herpes zoster, these were highest in elderly. Insight into epidemiology of varicella zoster is needed for the assessment of the desirability of introduction of routine varicella zoster vaccination. Varicella is a common viral disease affecting almost the entire birth cohort. Although usually self-limiting, some cases of varicella can be serious, with 2 to 6% of cases attending a general practice resulting in complications. The hospitalisation rate for varicella in Europe ranges from 1.3 to 4.5 per 100,000 population/year and up to 10.1% of hospitalised patients report permanent or possible permanent sequelae (for example, scarring or ataxia). However, in many countries the epidemiology of varicella remains largely unknown or incomplete. In countries where routine childhood vaccination against varicella has been implemented, it has had a positive effect on disease prevention and control. Furthermore, mathematical models indicate that this intervention strategy may provide economic benefits for the individual and society. Despite this evidence and recommendations for varicella vaccination by official bodies such as the World Health Organization, and scientific experts in the field, the majority of European countries (with the exception of Germany and Greece) have delayed decisions on implementation of routine childhood varicella vaccination, choosing instead to vaccinate high-risk groups or not to vaccinate at all. In this paper, members of the Working Against Varicella in Europe group consider the practicalities of introducing routine childhood varicella vaccination in Europe, discussing the benefits and challenges of different vaccination options (vaccination vs. no vaccination, routine vaccination of infants vs. vaccination of susceptible adolescents or adults, two doses vs. one dose of varicella vaccine, monovalent varicella vaccines vs. tetravalent measles, mumps, rubella and varicella vaccines, as well as the optimal interval between two doses of measles, mumps, rubella and varicella vaccines). Assessment of the epidemiology of varicella in Europe and evidence for the effectiveness of varicella vaccination provides support for routine childhood programmes in Europe. Although European countries are faced with challenges or uncertainties that may have delayed implementation of a childhood vaccination programme, many of these concerns remain hypothetical and with new opportunities offered by combined measles, mumps, rubella and varicella vaccines, reassessment may be timely. Influenza virus aerosol exposure and analytical system for ferrets. Understanding the transmission ability of newly emerging influenza viruses is central to the development of public health preparedness and prevention strategies. Animals are used to model influenza virus infection and transmission, but the routinely used intranasal inoculation of a liquid virus suspension does not reflect natural infection. We report the development of an inoculation method that delivers an influenza virus aerosol inoculum to ferrets and the characterization of size distribution and viable virus present in aerosols shed from infected ferrets during normal breathing and sneezing. By comparing virus deposition, infectivity, virulence, and transmissibility among animals inoculated intranasally or by aerosols with a human (H3N2) or avian (H5N1) influenza virus, we demonstrate that aerosol inoculations more closely resemble a natural, airborne influenza virus infection and that viable virus is measurable in droplets and droplet nuclei exhaled by infected ferrets. These methods will provide improved risk assessment of emerging influenza viruses that pose a threat to public health. Conceived and designed the experiments: VP MT EC. Performed the experiments: PN KT VP EC. Analyzed the data: EC PN CH VP. Contributed reagents/materials/analysis tools: KT MT MNT PN VP EC. Wrote the paper: EC VP PN MT MNT CH. The present work was funded by the Second University Department of Pediatrics, “P. & A. Kyriakou” Children's Hospital, of the National and Kapodistrian University of Athens School of Medicine. The funders had no role in study design, data collection and analysis, decision to publish, or preparation of the manuscript. Epidemiology of nosocomial infections in pediatric patients in an Iranian referral hospital.